The European Approach Towards Digital Library Education: Dead End or Recipe for Success? Triggered by a rapid diffusion of ICT within the last two decades, libraries have undergone a (r)evolutionary change in both mission and services. Step by step, libraries diversified their mission from a media holding institution towards a multimedia content provider in a physical and digital environment. To run a library in this way, highly qualified staff with LIS background is brought into focus. The article deals with the situation in European LIS institutions and its programs, particularly with regard to digital library. The crucial question will be: what kind of paradigm, if at all, exists with regard to the digital library phenomenon? Furthermore, some trends in libraries services and conceptions are presented. Having scanned LIS programs on B.A. and M.A. level, especially in Germany, in the Nordic Countries and the United Kingdom, we, in general recognized that all centers of education and training offer courses in electronic data processing (EDP), digital document handling, information retrieval, library software, and sometimes also JAVA, XML, PHP and so on. At first sight most of the LIS institutions of higher education in Europe seem to be prepared to meet the digital challenge. The key question in this context is: What kind of “philosophy,” or better: paradigm do these centers cultivate? Do they handle the subject “digital library (DL)” as a phenomenon, which is to be found in the world of libraries, that means: outside of the LIS institutions, or do they regard the DL as a challenge for own research and development? Depending on the perspective, one can concentrate on analyzing the phenomenon and offering relevant tools (in the sense of knowledge acquisition), on the other hand, one can educate and train specialists to take part in research projects (in the sense of a institution of applied science). 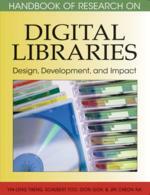 To become engrossed in DL, we should not turn a blind eye to other library concepts and trends. Trying to be a fortune-teller in a complex or chaotic world is a very unpleasant venture. In the wake of the last two decades there are at least four scenarios for the nature of a library. Scenario one describes the library as a physical meeting place with library near services and various non-library services for leisure activities (e.g., Kindergarten, fitness center, Internet workspaces). The Idea Store concept in the United Kingdom is a successful example for this strategy. Another scenario can be found nearly everywhere in public and scientific libraries all over the world (in Idea Stores too): The hybrid library, a synthesis of a physical library with its holding and digital based services like a (Web-)OPAC or access to the Internet in general and to the deep Web (e.g., with costs content in particular). A third scenario focuses on the DL per se. Semantic Web: A project of the WWW consortium lead by Tim Berners Lee. The traditional WWW is characterized by documents coded in HTML (Hypertext Markup Language) (i.e., carrying pure metadata for Web search engines). The Semantic Web is designed for exchange of documents carrying machine-readable semantic information generated through XML (eXentsible Markup Language) or RDF (Resource Description Framework). This does not mean that the computer comprehends the content, it just means that the computer is able to process well-defined problems by pattern matching. Virtual Library: The entire content of a (digital) library made accessible via the Internet. The content may come from different providers (e.g., the “German Virtual Libraries”). Cyberspace: A neologism composed of Cybernetics and Space. Often used as a synonym for the Internet. A term coined in science fiction literature (especially by William Gibson). Since the 1980’s a subject of computer scientists dealing with Virtual Realities (VR)—an ICT based system for seamless man-machine interaction represented (e.g., by a flight simulator or computer generated building where investors may walk around). Deep Web: Also called the hidden or invisible Web. Search engines like Google scan the surface only (keywords: visible or surface Web) (i.e., harvesting indexed pages). The Deep Web, in general, consists of special (online) databases, where the surfer needs a password or registration, or dynamic pages, where the result is generated after a query (e.g., stock market prices or flight schedules). Social Software: User-friendly, easy to use software tools for user generated Web content (also called collaborative software) (e.g., Internet Relay Chat [IRC], Instant Messaging [Skype], Web logs [Technorati], Wikis [Wikipedia], Social networking [OpenBC, now XING or MySpace]). Cybrarian: A virtual librarian in Cyberspace. An Avatar represents a human being in a virtual environment. In this context, a Cybrarian substitutes a physical librarian in a Cyberlib (a library in Cyberspace). Web 2.0: The traditional WWW is mostly characterized by prefabricated content, the WEB 2.0, the join in Internet is characterized by user generated Web content (see Social software). Web Service: A standardized network for machine-to-machine data exchange. The communication procedure between a service requester and a service provider is based on three standards: Universal Description, Discovery and Integration (UDDI), Web Services Description Language (WSDL), and Simple Object Access Protocol (SOAP).